The Royal Court Gown is a two piece dress ensemble consisting of a bodice and skirt. 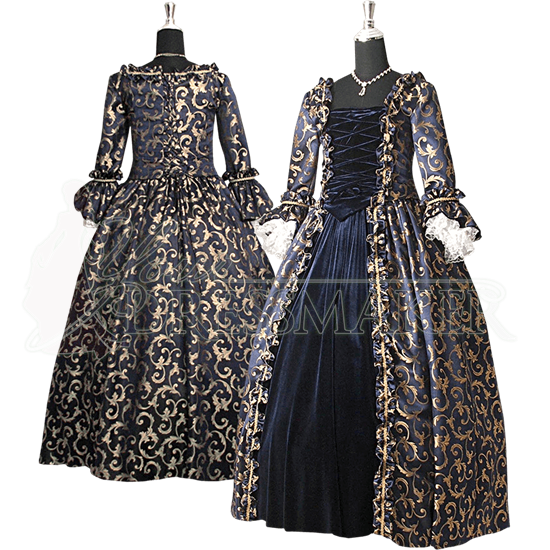 The bodice and skirt are made of a high quality baroque damask fabric with an inner panel in your choice of fabric. The bodice is fully lined. This lovely gown is shown with a hoop skirt. The hoop skirt is not included but can be purchased separately. We highly recommend wearing a hoop skirt with this gown to give the dress a flattering shape. 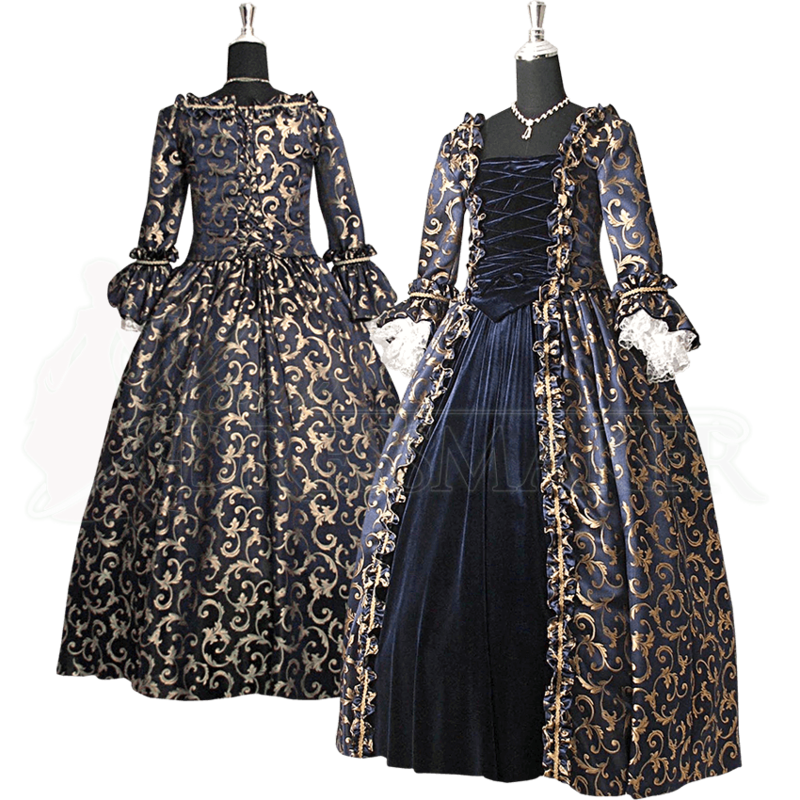 The Royal Court Gown is great for Medieval Weddings, Renaissance Fairs and Medieval re-enactments. You will feel like you are the Queen when you wear the Royal Court Gown to your next Renaissance fair or masquerade event. When choosing your colors, the firs color selection is for the main color of the dress, which is the outer color. The main part of the dress is made from brocade fabric. The second color selection is for the accent color, which is the color on the front panel of the dress. The accent panel of the dress royal velvet. Please note that all custom sized garments are made to order. Custom made items cannot be returned unless we have made an error with your fabric choice or measurements. Custom measurements that are equivalent to a 2XL or larger will incur an additional fee. If you need your item by a certain date or for a particular event, please let us know when ordering. Most custom items will ship in 2-4 weeks after the order is placed. We do offer a rush option for an additional fee. If you select the rush option and we are not able to accommodate you, we will contact you by email. We aim to please and do our best to accommodate all of our customers! Made from brocade and royal velvet.